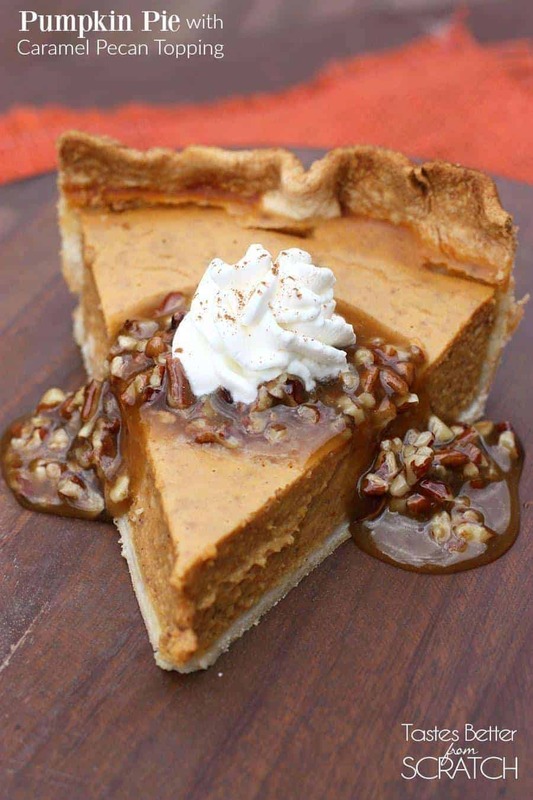 Home » Recipes » Course » Desserts » The Best Pumpkin Pie Recipes and More! Pumpkin Pie Recipes aren’t just for pies anymore! Pumpkin Pie Spice makes everything taste like fall! From truffles, to trail mix, to dips. It is pumpkin pie everything time! 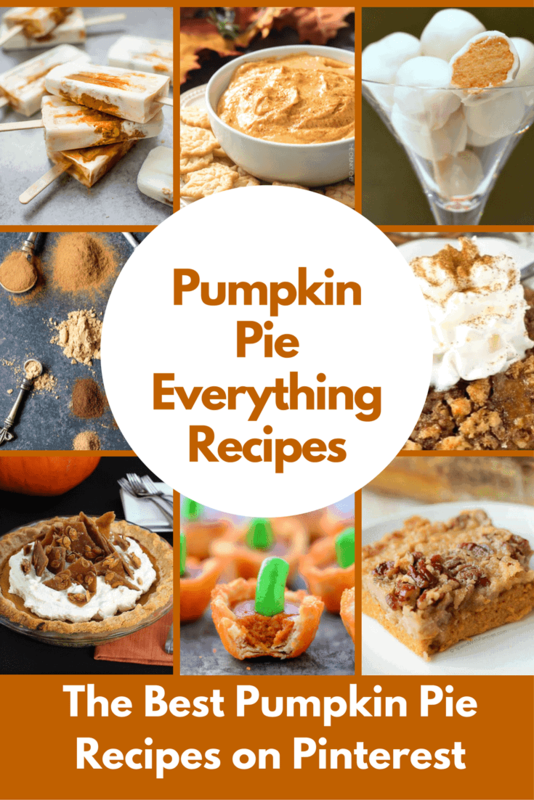 If you like a traditional pumpkin pie or like to get creative, I have so many yummy pumpkin pie recipes to share with you today. 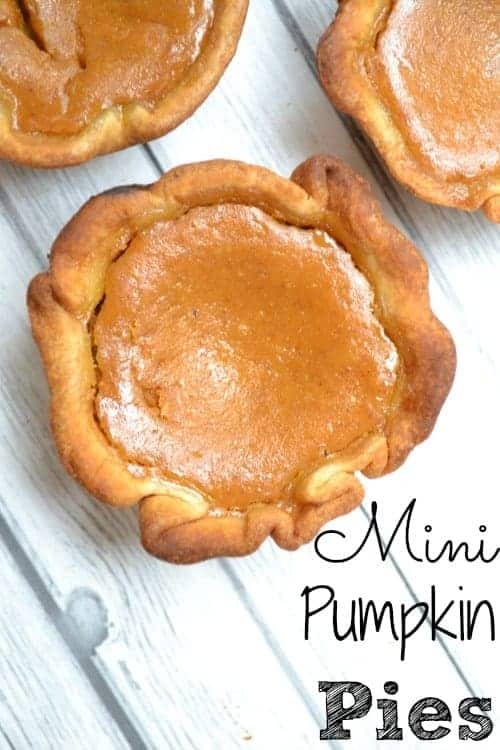 This is the perfect time of year to share all things pumpkin and I just know you will be just as excited about these pumpkin pie recipes as I am! Who is ready for the perfect fall recipe flavoring? Entertaining a crowd this fall? 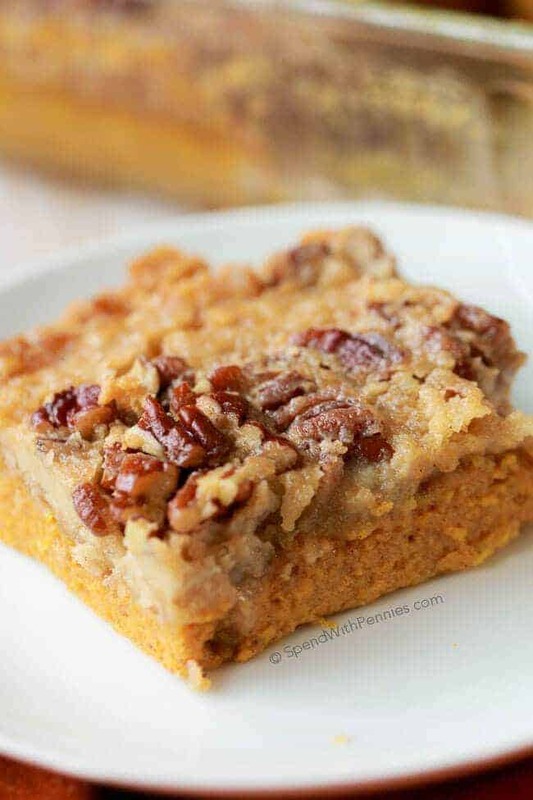 These pumpkin pie crunch bars by Spend with Pennies is a delicious and super simple way to feed loads of people. I have a feeling you will be making this recipe for years to come! Friends, the struggle is real. When it comes to fall desserts we tend to love pies. The problem is choosing between pumpkin and pecan pie. They are both so good! No worries this time. 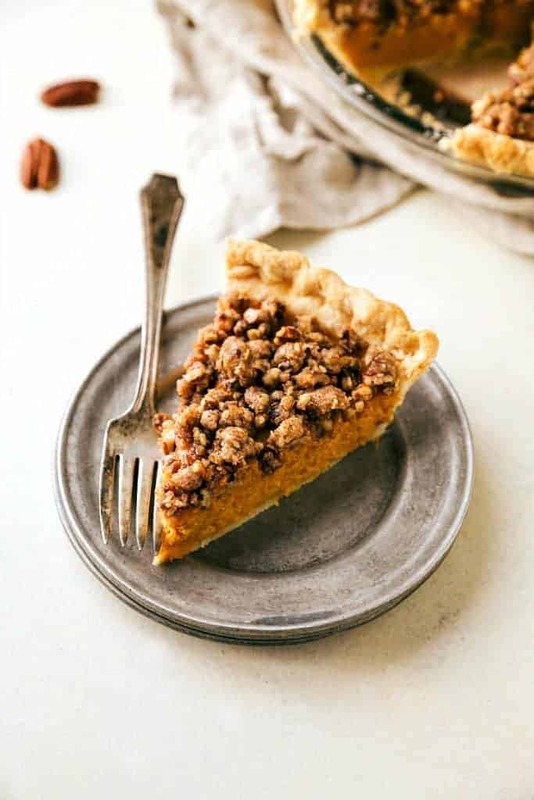 Chelsea’s Messy Apron shows us how to make an incredible Pecan Streusal Pumpkin Pie. Problem solved when you combine the two for a fabulous flavor combination. 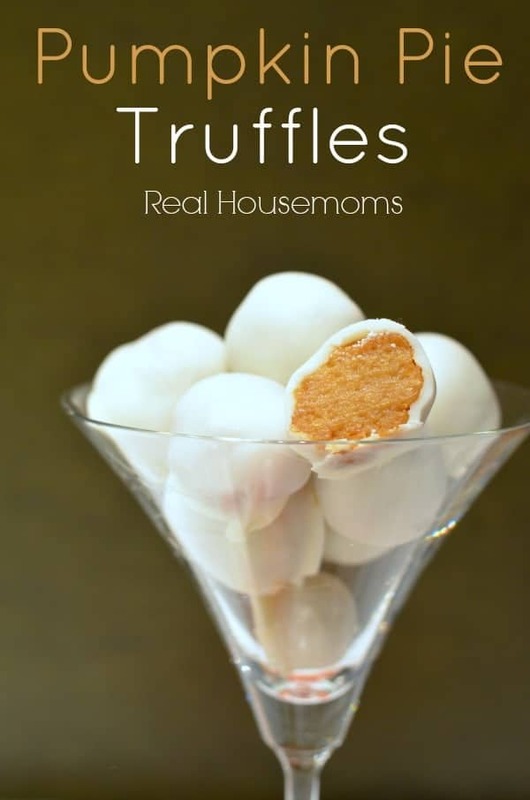 Real Housemoms just took your ordinary pie up a notch. Meet pumpkin pie truffles. They are bite sized little bits of heaven. 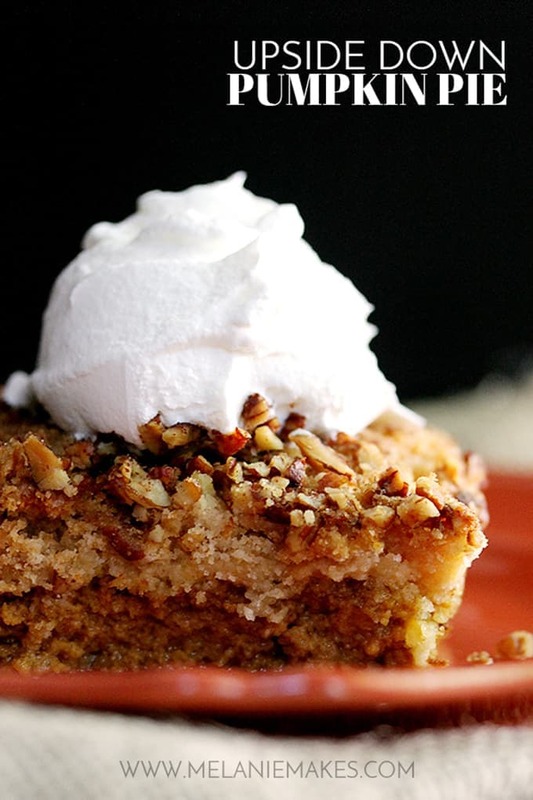 This will make your pumpkin pie leftovers a thing of the past, too! 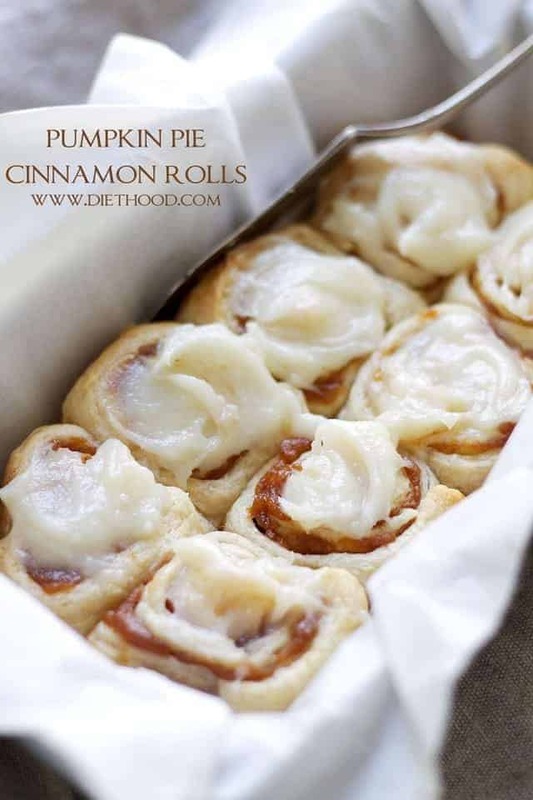 I’d love to wake up to these Pumpkin Pie Cinnamon Rolls from Diethood. What a wonderful treat to make for these cool fall mornings! Who could resist such a delicious dish? 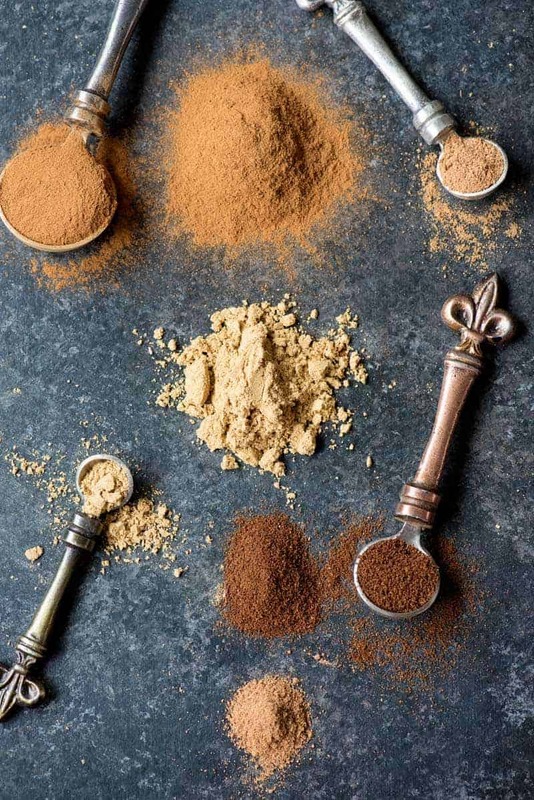 Be ready to make any sort of pumpkin pie flavored dish when you make your own Pumpkin Pie Spice. 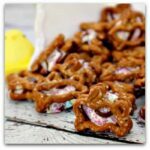 This delicious mix recipe was shared by Homemade Hooplah and I really want to make this for baked apples. Get ready to make exactly what you want! 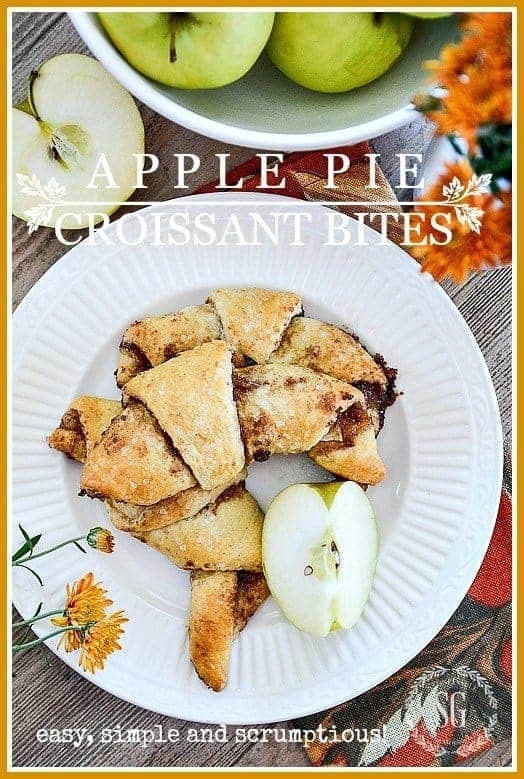 Get those crescent rolls ready because you are going to want a batch of these! 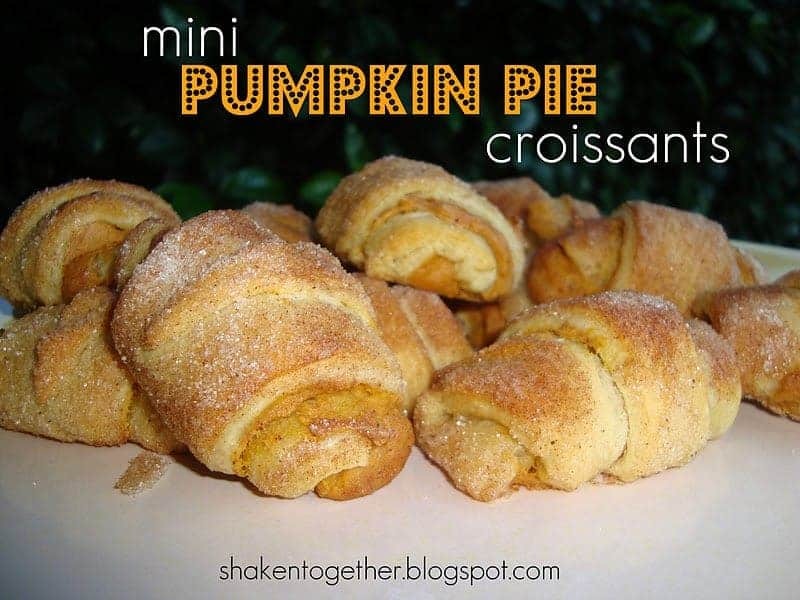 Make your own yummy mini pumpkin pie croissants just like Shaken Together. I love a good recipe that only requires a few ingredients. 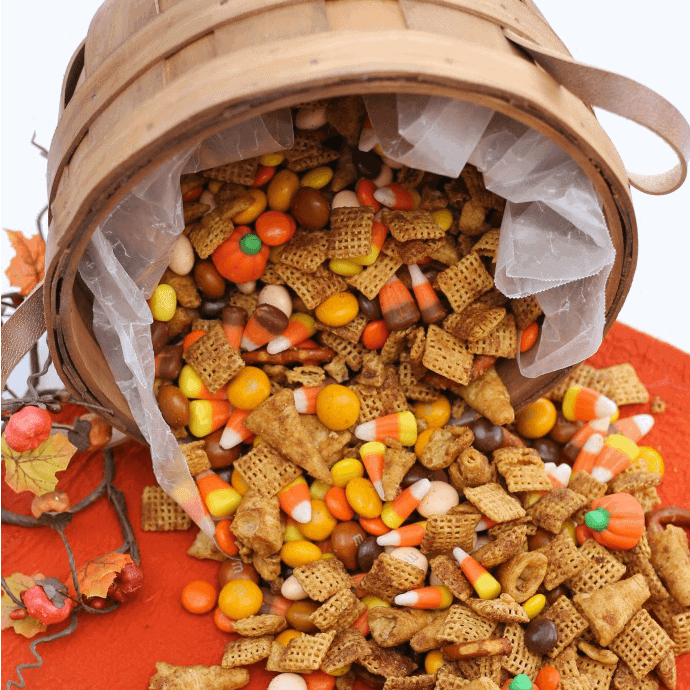 Princess Pinky Girl hosts so many yummy recipes, but this Pumpkin Spice Snack Mix is always a hit. Simple combine some of your favorite snacks and flavor them with spices for a delicious treat that everyone will keep coming back for! This is such a good recipe for school lunches, too! After you finish wiping the drool off the screen add this to your to-bake list for the upcoming months. I love pumpkin pie, but adding a caramel pecan sauce? Well, you had me at pumpkin! Tastes Better from Scratch shares this incredible recipe and I am craving that beautiful sauce. Ready for a healthy pumpkin pie dessert? 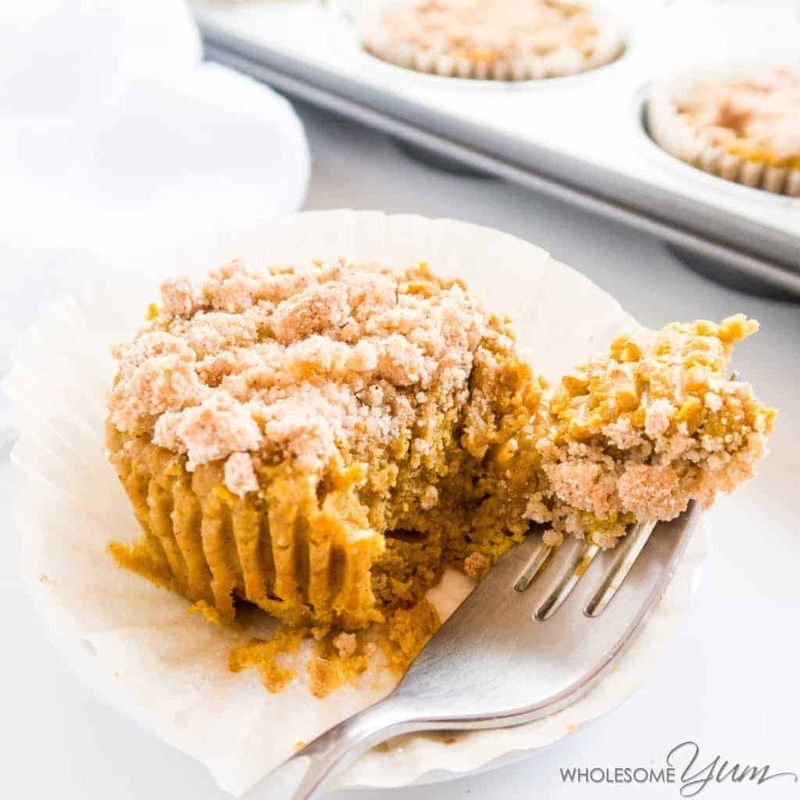 Meet the Low Carb Paleo Pumpkin Pie Cupcake by Wholesome Yum. Isn’t she lovely? I so want to try this lightened up version of a favorite cupcake of mine. How about you? Do you love a good dessert shooter? 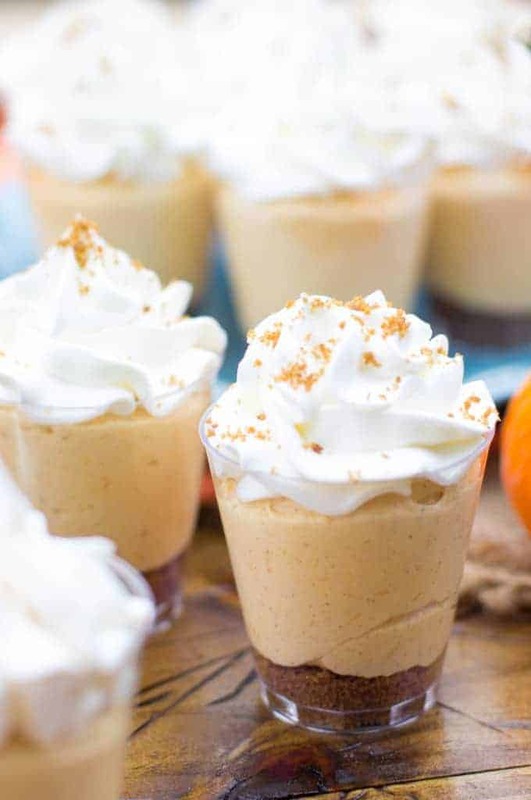 If so, get ready for this amazing recipe by Sugar Spun Run for a Pumpkin Pie Cheesecake Dessert Shooter. My mouth is watering just looking at the photos! These little bite sized creations are just so good. Whip up a batch of Pumpkin Spice Bites and you will instantly have the taste of fall at your fingertips and in your belly! 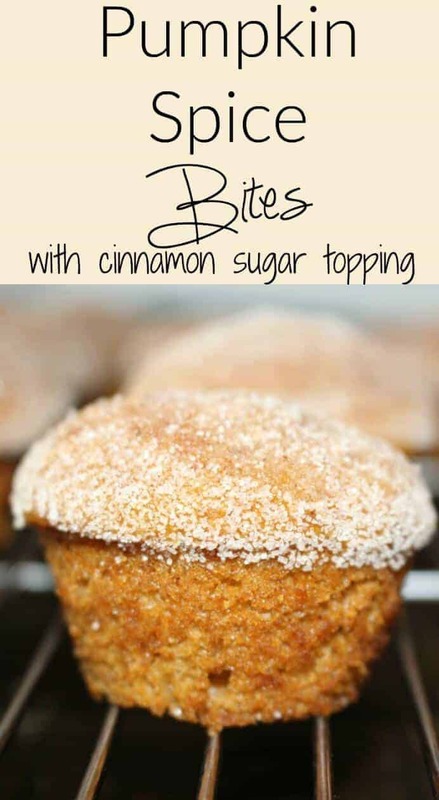 These bites with cinnamon sugar topping are just insanely delicious! 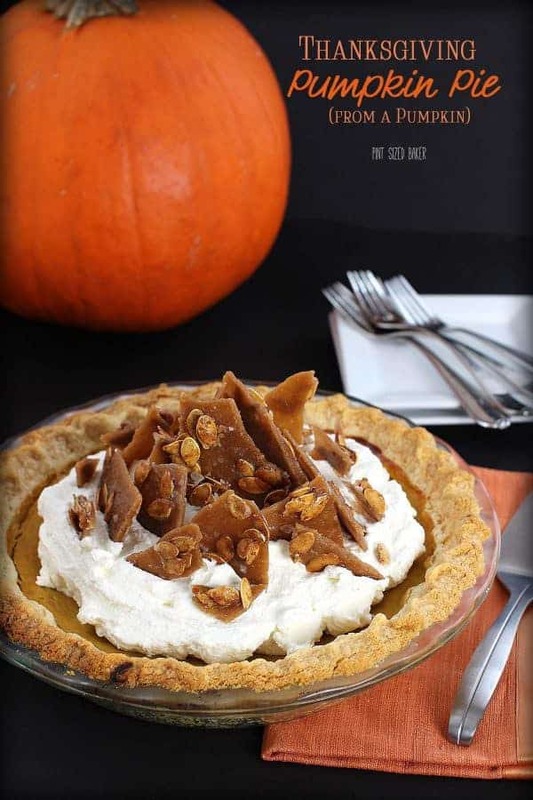 This is a bona fide pumpkin pie recipe from Pint Sized Baker. It shows you how to make a pumpkin pie from a real pumpkin. Get prepared to feel like a true chef when you tackle this lovely pie. The only problem I have with it is that you totally should make this more often than just on Thanksgiving! 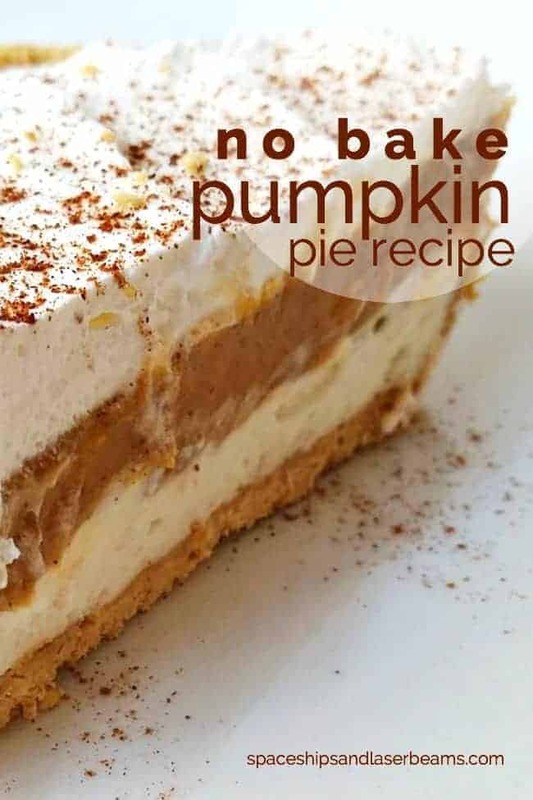 I’m loving this version of a No Bake Pumpkin Pie by Spaceships and Laser Beams. Sometimes it is hot all through fall where I live. I am always up for a no-bake dessert and this one looks awesome. You’ll love how simple this is to throw together! Popsicles for breakfast… yes! 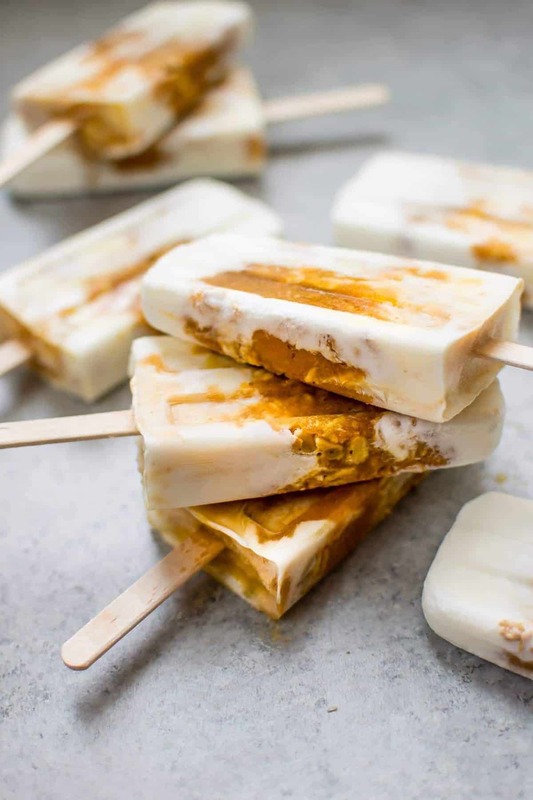 I can’t wait to try these delectable and healthy pumpkin pie breakfast popsicles by Salt and Lavender. I think even the kids will jump on this bandwagon. I love that something so pure and healthy feels like a splurge, even first thing in the morning. 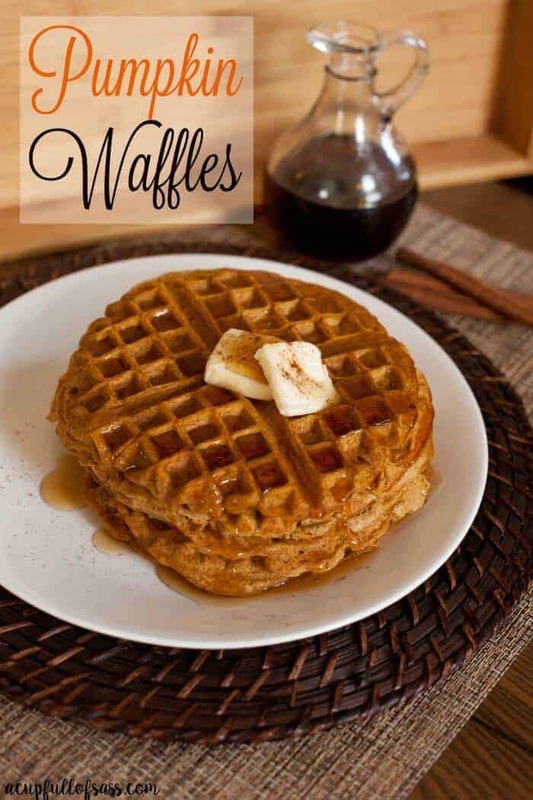 Speaking of yummy breakfast dishes… how about a batch of pumpkin waffles. They are so easy to make and they are better for you than just plain waffles. These I have tried and they taste wonderful. You should totally make these! 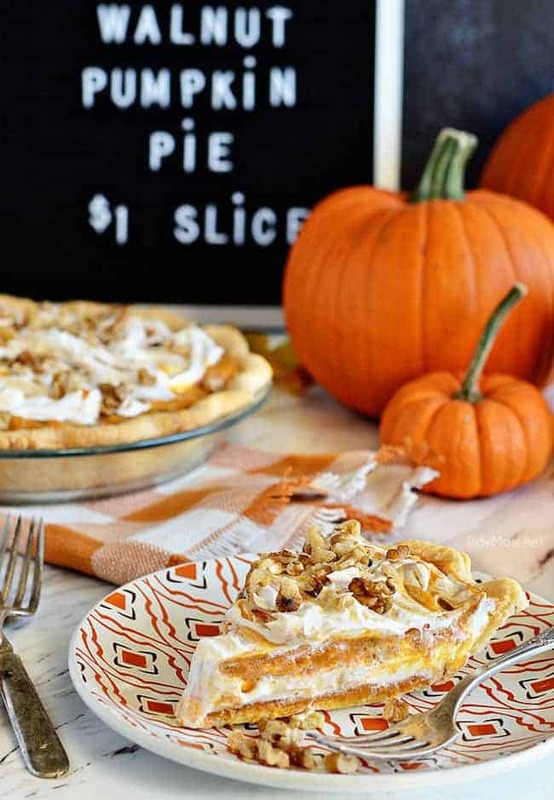 This layered walnut pumpkin pie from Tidy Mom has me salivating! I can’t tell what is more mouthwatering… the pie or the topping? It all looks so amazing. Pardon me while I go make one of these beauties! I think miniature versions of our favorite foods are just divine. 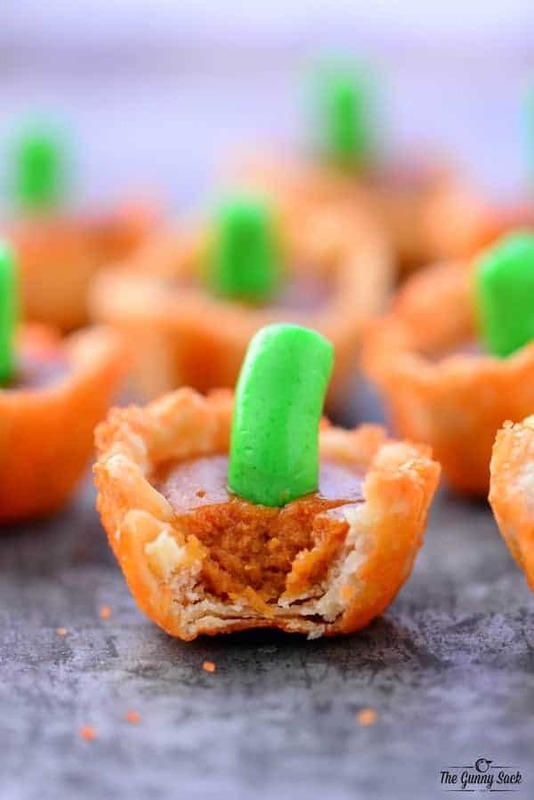 For example, these mini pumpkin pies from To Simply Inspire are just the cutest thing around! 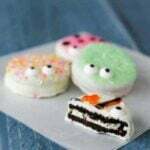 I really want to make some of these this year. Now I can eat a whole pie and no one will judge! Grab your crock pot! 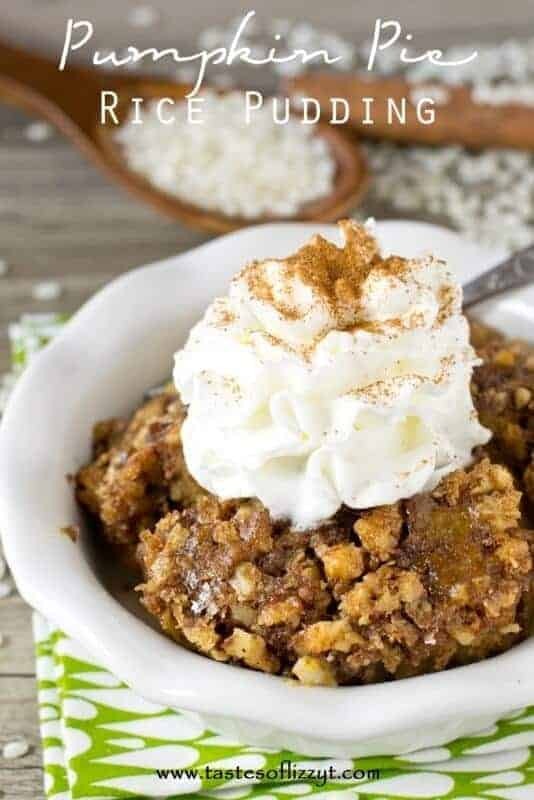 You are going to want to make a pot of this Overnight Slow Cooker Pumpkin Pie Oatmeal by Around My Family Table. Can you just imagine how amazing your kitchen would smell when you woke up? I think I’d be having pumpkin-flavored dreams as it baked! While this is not an actual dessert recipe, I happen to think this Pumpkin Pie Playdough Recipe by Best Ideas for Kids is just so cool. 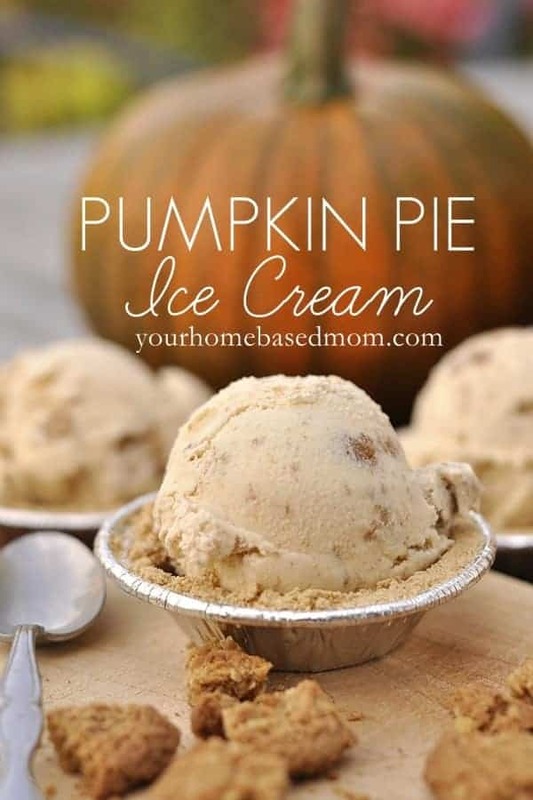 Now your kids and make their own pumpkin pies over and over again. I can just smell this now… so fun! Stonegable shares a recipe for easy-to-make apple pie croissants. They look so good and even I can make a helping of these. I love anything using a croissant recipe… always an easy fix! Have you ever had upside down pumpkin pie? Me neither, but now that Melanie Makes has shared her recipe, I can’t figure out why I’ve never eaten it before. Fall is always a good time for a fun dip recipe. From football games, birthdays and Thanksgiving, we do our fair share of entertaining this time of year. 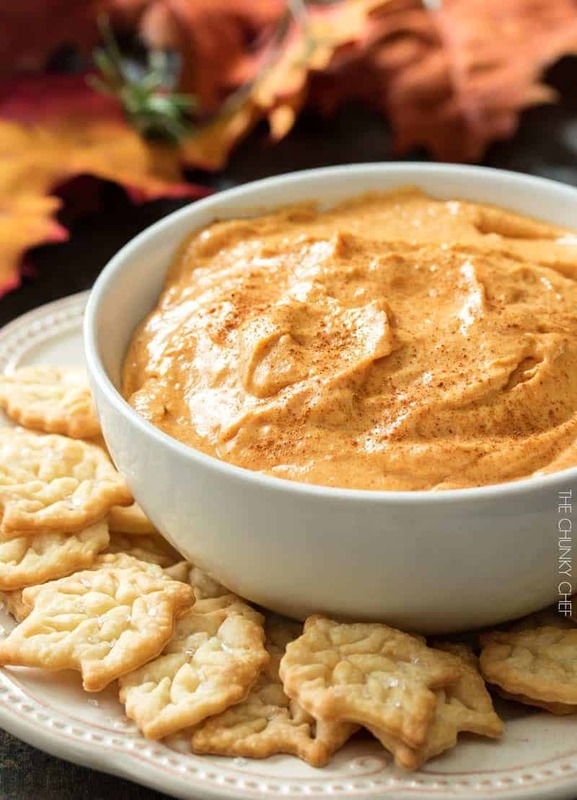 I love having a cool dip idea and this yummy pumpkin pie dip from The Chunky Chef looks so fabulous! Your Homebased Mom reminds us that even when the weather cools off, ice cream is still a fun treat. I can’t wait to try my hand at making her pumpkin ice cream. We all scream for ice cream all year long at our house! 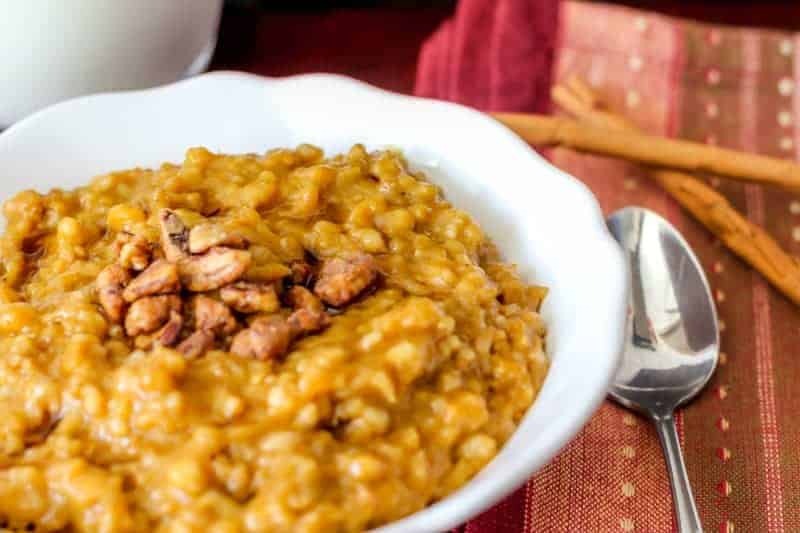 Tempt your tastebuds with this scrumptious Pumpkin Rice Pudding by Tastes of Lizzie T.
Another pumpkin recipe for the win! My kids would go crazy over these caramel pumpkin pie bites by The Gunny Sack. How adorable are these little pumpkins?! I hope you have enjoyed these pumpkin pie recipes!